ReBuilding Center staff and volunteers spent Saturday, August 11th, tackling a wide range of minor repair projects for eight North and inner Northeast neighborhood homeowners. 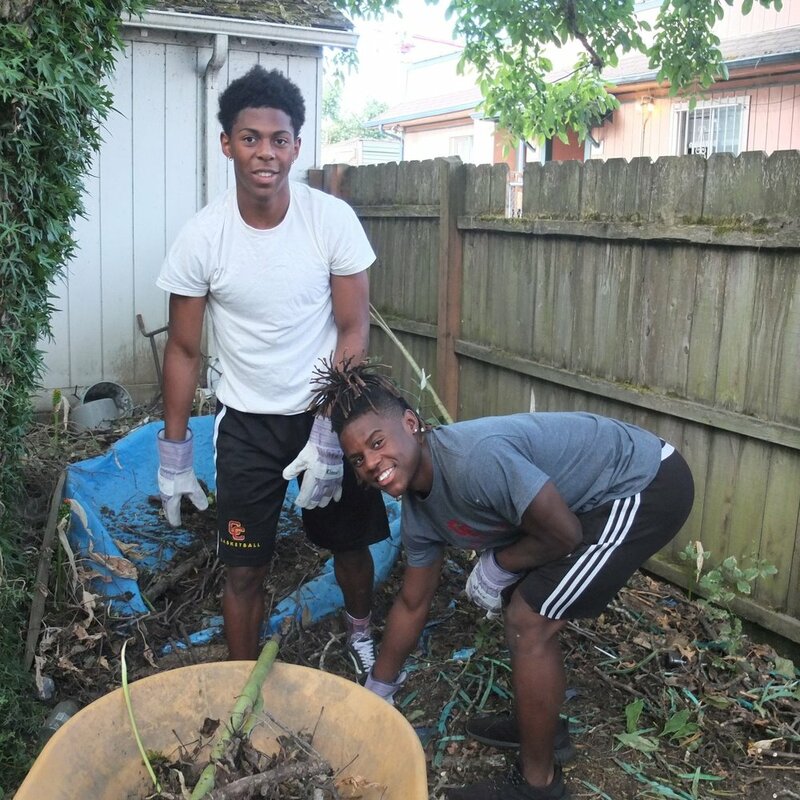 As highlighted in August’s newsletter, the ReBuilding Center partners every year with the African American Alliance for Homeownership for our Annual Day of Service. We had a very enjoyable day working with tools, meeting people in our neighborhood, and building friendships. The ReBuilding Center would like to thank everyone involved in fostering another successful Day of Service! 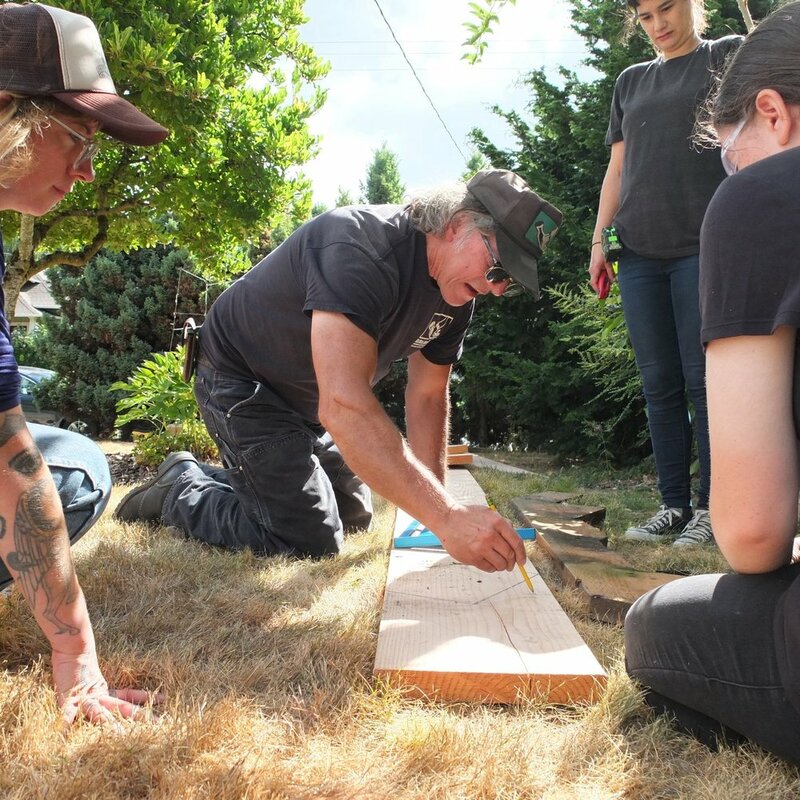 The ReBuilding Center team put their creative minds together to construct a table that transforms into a bench. 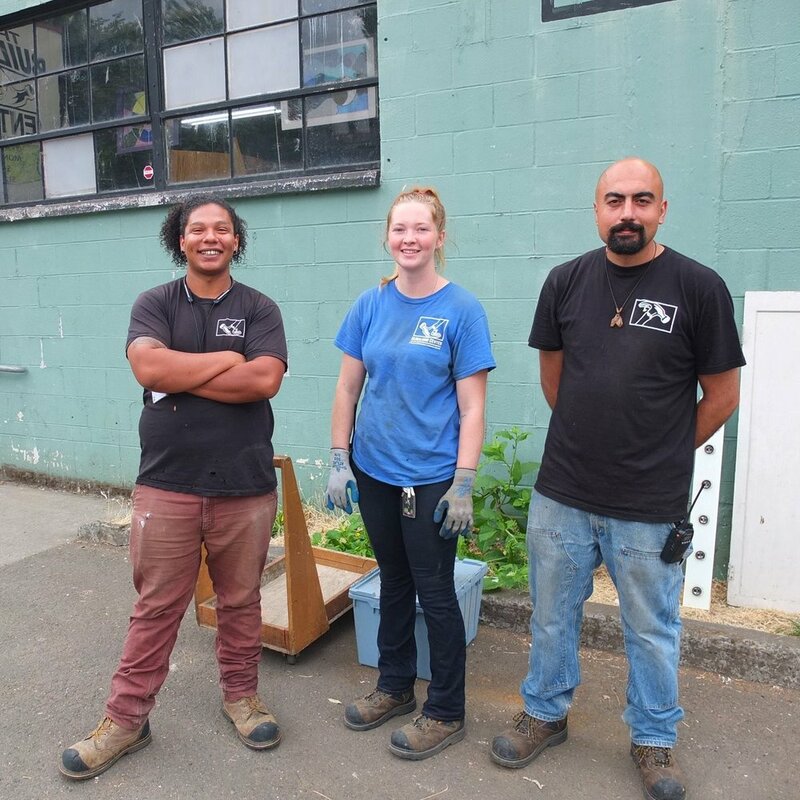 The table/bench was sold during the silent auction to benefit Oregon Tradeswomen and will also be displayed, along with other selected Dropbox Derby pieces, at the Oregon Museum of Science and Industry. Mississippi Avenue was as sweet as it could be this past Tuesday during the 15th Annual Ice Cream Social. Over 24 Mississippi Avenue businesses participated in handing out free ice cream to celebrate our neighborhood and community. The ReBuilding Center kept it classic this year, scooping vanilla bean ice cream for those who stopped by our table under the Community Trees. A huge thanks to the Historic Mississippi Business Association and everyone who worked hard to make this event happen. We had a blast and hope the Mississippi Avenue community did, too!